Lord Arthur Savile's Crime is now running! Lord Arthur Savile's Crime opened tonight and a good time was had by all. Some tickets are still available for Thursday, Friday and Saturday - do come and enjoy this very funny play! 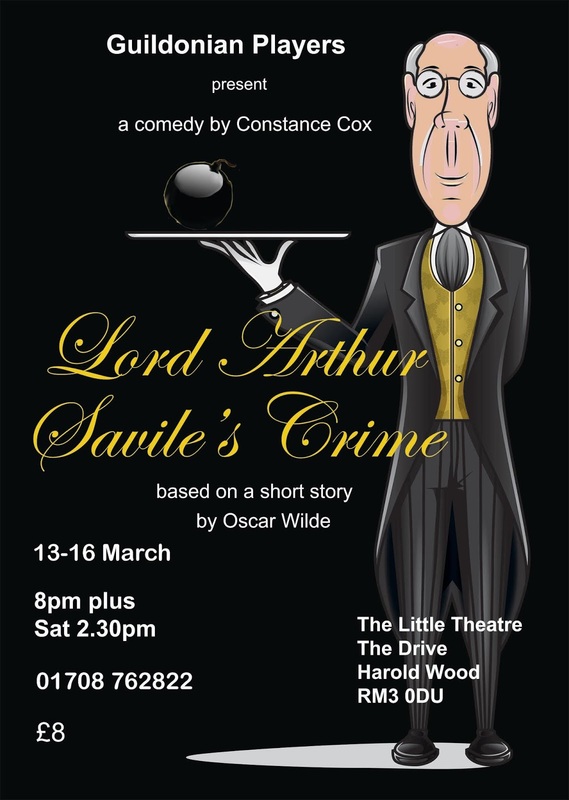 Lord Arthur Savile's Crime - our next show is in production! 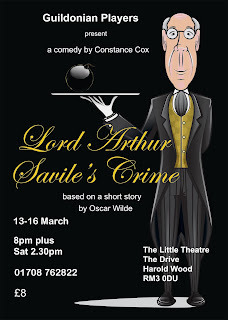 Our next production is a comedy by Constance Cox called Lord Arthur Savile's Crime. Based on a short story by Oscar Wilde, this very funny play features a young Lord Arthur Savile who is engaged to the lovely Sybil Merton. Her mother’s pet chiromantist Podgers has read Lord Arthur's palm and foretold he would commit a murder. Lord Arthur desires blissful married life and therefore feels duty bound to get the murder over with first ...! With other colourful characters including a butler and a cheerful anarchist who keeps making bombs, this play promises a very amusing entertainment. It's almost Armistice Day, the 100th anniversary of the ending of the First World War. 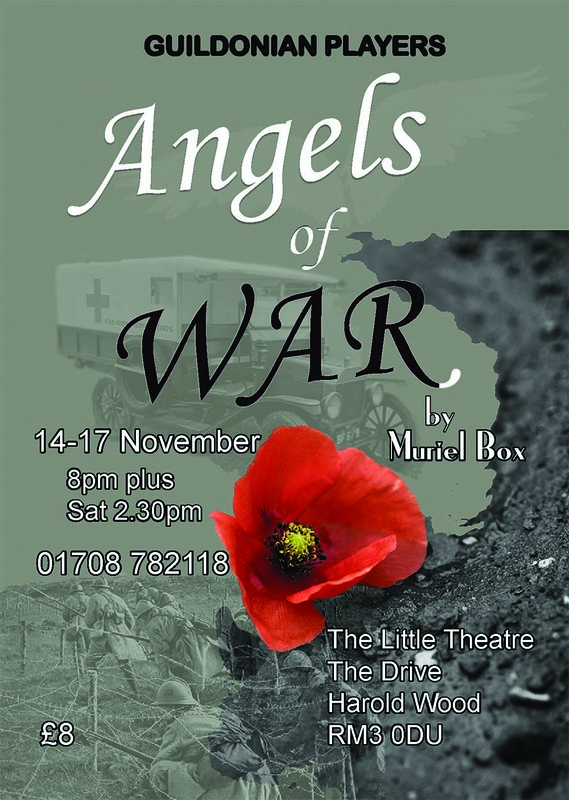 Three days after that our play, Angels of War, opens at The Little Theatre. Angels of War features a group of WAACs billeted in a French farmhouse who drove ambulances carrying wounded soldiers from the front. Come and join us as we share an insight into their lives - women from different backgrounds all trying 'to do their bit' and battle a common enemy ... their Commandant 'the old cow'! There will be an exhibition of WW1 memorabelia on display which can be viewed during the interval, kindly loaned by Martin Tilbury. Tickets just £8. To reserve call 01708 782118. Our Autumn production at The Little Theatre will reflect the commemorations for the 100th anniversary of the ending of the First World War. 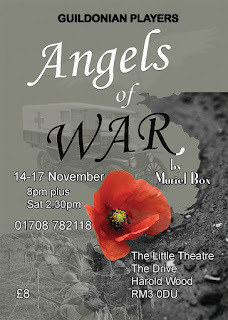 It is a little known play called Angels of War, written by Muriel Box, who went on to become a film director. Angels of War is set in France in the months leading up to and following the armistice. It introduces us to the lives of the WAACs – Women’s Army Auxiliary Corps – notably those who drove the ambulances transporting the wounded from the front. Most actually had to provide their own uniforms and met hardship and even tragedy daily, but they learned independence, and even coped with “the old cow” – their Commandant! Please join us as we remember 'the war to end all wars'. Festival fun at Brentwood Theatre! 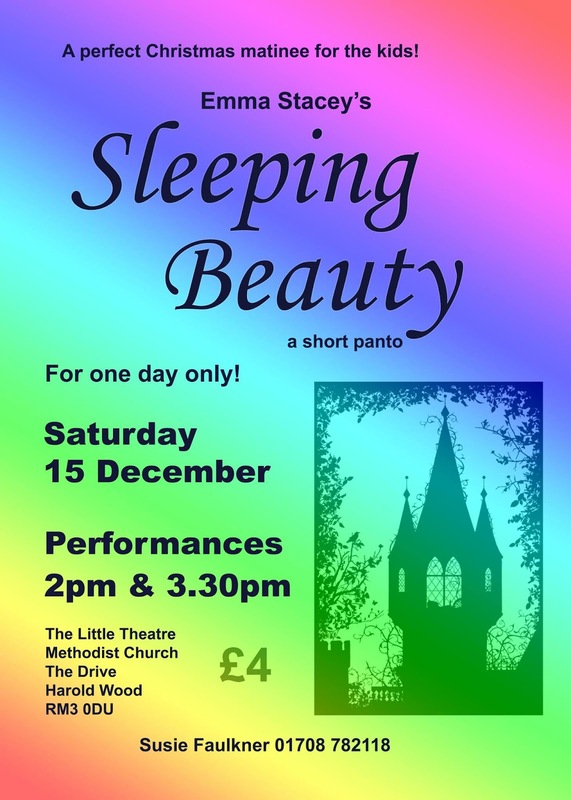 This year is the BCDF's 70th Anniversary and we have been invited to perform a one act pantomime on the afternoon of Saturday 22 September in the festival at Brentwood Theatre. Our version of Sleeping Beauty has been written for us by Emma Stacey and features all the usual panto fun. There are a great variety of one act plays each night from 18-22 September - many written by our local talent. Why not pop along and see what is on offer? The programme of events can be seen here.